Alfred's first wife walked in on one of his and Georgia O'Keeffe's "photoshoots" and they were divorced soon after. Alfred Stieglitz is the grandpappy of modern photography. To be fair, his idea of a series was to take hundreds of pictures of a single subject over the course of decades. In the same way that monkeys at a typewriter will eventually hammer out Hamlet, some of those pictures had to be masterpieces. He was doing something right, because his works were the first photographs ever included in a museum's general collection. Stieglitz was a self-loathing son of a rich New York merchant. The poor chap studied engineering in Germany before realizing photography was his calling. In his youth, photography was a new invention seen as a novelty rather than a medium for fine art. Stieglitz went about changing that. His beliefs about what photography should and could be were so extreme that he was forced to resign as editor of the newsletter for the Camera Club of New York. His goal at first was to manipulate photographs in order to appropriate the feel of other media. He made his pictures look like paintings. But he did a 180 after the realization that this old-fashioned style was exactly what the avant-garde artists were trying to avoid and move beyond. #eggonyourfaceStieglitz. One of his favorite subjects was his second wife, the artist Georgia O'Keeffe. Stieglitz was 52 and O'Keeffe was 28 when they met. Their relationship began as pen-pals, but grew serious when O'Keeffe took a train from Texas, where she taught, and showed up on Stieglitz's doorstep in New York...unannounced. Their relationship could basically be the source material for Katy Perry's "Hot and Cold" (and, "New Mexico Girls", the wisely rewritten first draft of California Girls). Stieglitz divorced his wife to be with O'Keeffe, and the two married in 1924. It was a perfectly successful marriage filled with manic-depressive bouts of enchantment and separation punctuated by glittering periods of artistic greatness. You know, a classic love story. Besides photography, promotion was Stieglitz's super power. He opened and operated numerous famous galleries in New York throughout his career, vacillating between promotion of photography as an art and showing contemporary modernist American painters. His gallery 291 in New York (originally named Little Galleries of the Photo-Secession) hosted the first American exhibitions of contemporary European artists including Henri Matisse, Henri de Toulouse-Lautrec, Paul Cezanne and Pablo Picasso. In short, Stieglitz is responsible for the nightmare-inducing posters of Guernica and The Temptation of St. Anthony your art history major roommate hung on your dorm room wall. 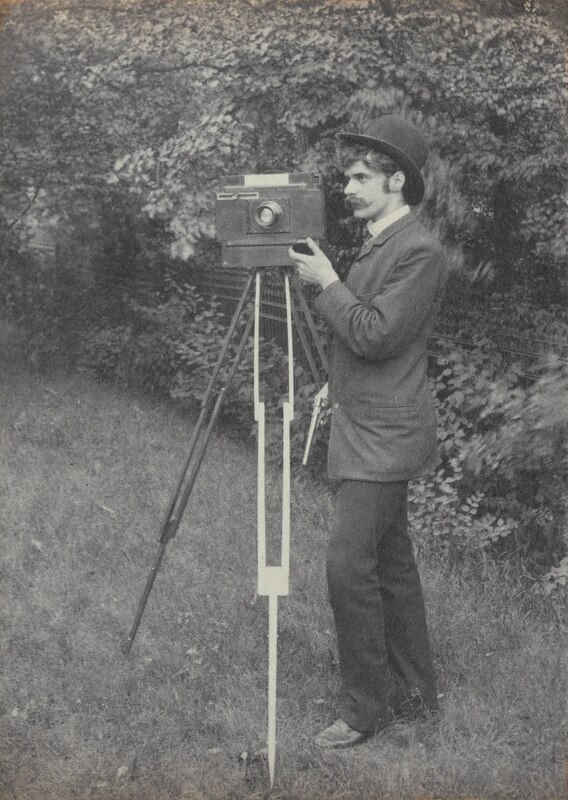 Alfred Stieglitz (January 1, 1864 – July 13, 1946) was an American photographer and modern art promoter who was instrumental over his fifty-year career in making photography an accepted art form. In addition to his photography, Stieglitz was known for the New York art galleries that he ran in the early part of the 20th century, where he introduced many avant-garde European artists to the U.S. He was married to painter Georgia O'Keeffe. Check out the full Wikipedia article about Alfred Stieglitz.